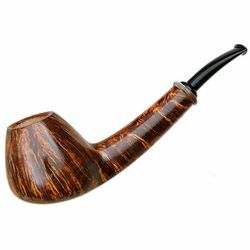 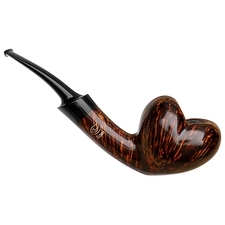 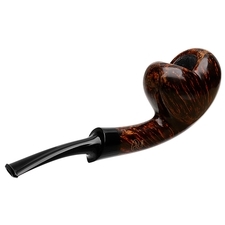 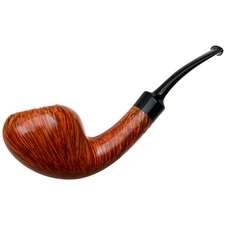 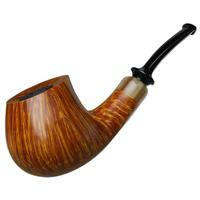 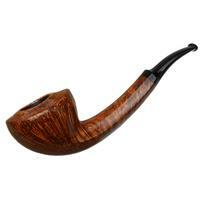 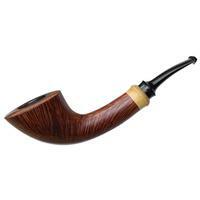 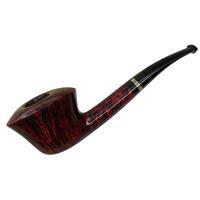 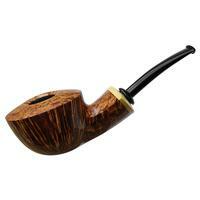 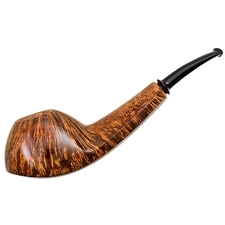 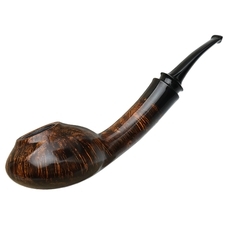 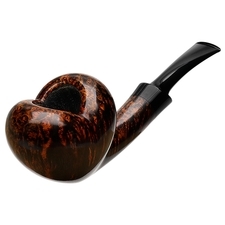 A touch different from some of Tom's sleek Danish classics, this petite briar offers a sentimental design, with its bowl fashioned in the shape of a traditional heart, including a subtle, crisp point at the base. 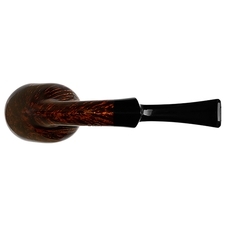 Dressed in a dark contrast stain, flame and birdseye alike are highlighted in fiery hues, and Tom's skill shows in its smooth, seamless transition and lifting shank. 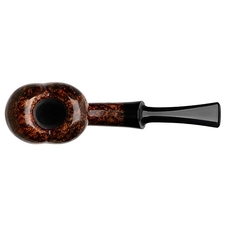 Quite an elegant piece all around, and a delightfully unique piece to add to your collection.